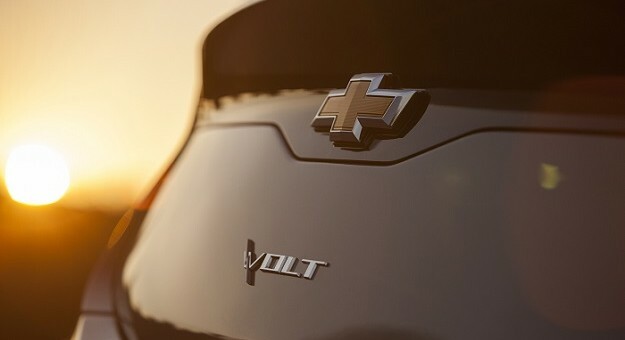 Chevrolet’s next-generation Volt will be an extremely important car for the brand. With the market shifting more and more towards electric and alternative energy vehicles, the new Volt has the potential to be the hot-seller the current car never was. Carscoops recently caught a pair of next-gen Volt prototypes out testing in the Colorado rockies. The cars are seen wearing minimal camouflage compared to other General Motors prototypes. The bodylines and general shape of the car can be made out, however the headlights and taillights are still far from their production versions. Usually when test cars such as these are seen in Colorado it means they are undergoing both high altitude testing and cold weather testing. The thin air high up in the mountains can be hard on engines and EVs such as the Volt can have battery life and electric engine performance dwindled by extremely cold temperatures. What appear to be Chevrolet Malibu prototypes (note the wheels) were also seen parked in a group along with the 2016 Volts. GM, including product chief Mark Reuss, have said this new Volt will have improved range and efficiency. All-electric range could climb from 38 miles to around 50 to 60, while overall combined driving range should also improve. This may be achieved through using a smaller three-cylinder gasoline generator, using a larger battery pack and improving the car’s aerodynamic efficiency. Check out the spy shots from Carscoops here. If you’re an EV fan and are eager the official word on the next-gen Volt, be sure to check back to GM Authority when the car makes its debut at the 2015 North American International Auto Show in Detroit in January. Considering the big gains in the market place have been in the SUV/CUV/Sportback type of model (never call them a station wagon any more! ), I was hoping for something less sedanish. Definitely disappointed to see a sedan. They sell better in America which is hopeful for the Volt attracting more interest. I was really excited and had intended to buy one, but one car in the city requires more utility. Prius is a great example that electric and utility can sell big, maybe Chevrolet decided on a blue ocean rather than duking it out with Toyota in a market they dominate. It could work and let’s hope for the best. It looks like this is going to be a bit more streamlined or aerodynamic if you will. Considering the nature of the product, I see this as a good thing.